The beauty of eLearning is in its flexibility and ability to educate everyone no matter what their requirements. In this article, we will explain to you how you can do this also and how you can optimise your eLearning for the most important person in the process, the learner. What Makes Up A Successful eLearning Course? A key element of a professional eLearning course is having clear learning objectives and outcomes. Before you pursue a course make sure you check what the course is teaching. There should be clear and simple objectives in the course description. This description will indicate if the course is for you and if it addresses the objectives, skills or tasks you’re looking to explore. If the eLearning platform offers a pre-assessment, be sure to complete this part of the process. The pre-assessment will help you narrow down what you already know, what you need to learn and most importantly, ensure you don’t waste time! A diagnostic assessment might sound daunting but it’s often a very quick and simple task that could help your learning boundlessly. 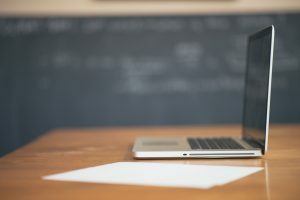 If learning at school or college felt extremely limited then you will be pleased to hear that with eLearning, there are no restrictions, if you don’t understand something, that’s fine, our classes are not an hour long in a stuffy classroom but are simply wherever and whenever you want them to be. With eLearning, you can choose your own learning path, and we don’t just mean you choose at the beginning and then that’s that. Ultimately, you, the learner, has complete control. As you learn, you choose your path, giving you the complete flexibility to try something undiscovered or unplanned just because it interests you. Online learners have the power to choose the activities and resources that are relevant to their needs. You can go at your own pace and access the course materials whenever it’s convenient. It is also worth noting that there are many different learning styles and eLearning acknowledges that. The above ensures that the learner understands the topic in-depth, it’s interactive and ensures that they actually enjoy learning rather than see it as ticking a box. Additionally, the technological medium makes it more conducive by introducing tools which make the process more accommodating for various types of learners. We hope that if at least one thing that is clear from this article is that, Individual needs are really important when it comes to learning, ultimately everyone is different and considering this in your learning will give you the best results. If you want to find out more and discuss how you can optimise your learning online then get in touch with us today so we can get your learning started!